Race Car 2nd Birthday, a photo by CAKE Amsterdam - Cakes by ZOBOT on Flickr. 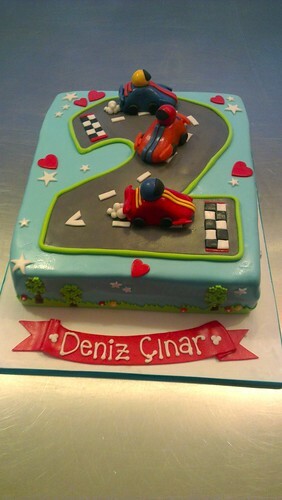 Deniz Cinar 2nd Birthday. Last year with trains and this year a race car theme! Happy Second Birthday Deniz Cinar!